November 2018 —The German chancellor, the EU parliament, a number of U.S. senators and other western leaders have called for freezing military exports to Saudi Arabia in response to the murder last month of dissident Saudi journalist Jamal Khashoggi in the Saudi consulate in Istanbul. Progressive Saudis have been calling for such sanctions against their authoritarian regime for years. They cite their government’s war crimes against Yemeni civilians, perpetrated in cooperation with the United Arab Emirates regime, and its policy of violently persecuting Saudi human rights defenders. In a recent statement, the Palestinian Journalists’ Syndicate documented that the Israeli occupation forces have killed 43 journalists since 2000 and have, in 2018 alone, violently assaulted 370 Palestinian journalists. The US National Security Agency whistleblower Edward Snowden revealed last week that Israeli spyware was used [by Saudi Arabia] to track and murder Khashoggi. As the largest coalition in Palestinian civil society, we support our counterparts in Saudi Arabia who are calling for sanctions against their brutal regime for its gruesome killing of a dissident journalist, its systematic human rights violations, and its crimes against humanity in Yemen. In the same breath, we call for sanctions on Israel to help end its decades of violence against the people of Palestine, including the crime of apartheid and the killing of thousands of Palestinians, among them many journalists. States and international institutions should not be selective in championing the dignity of human life. 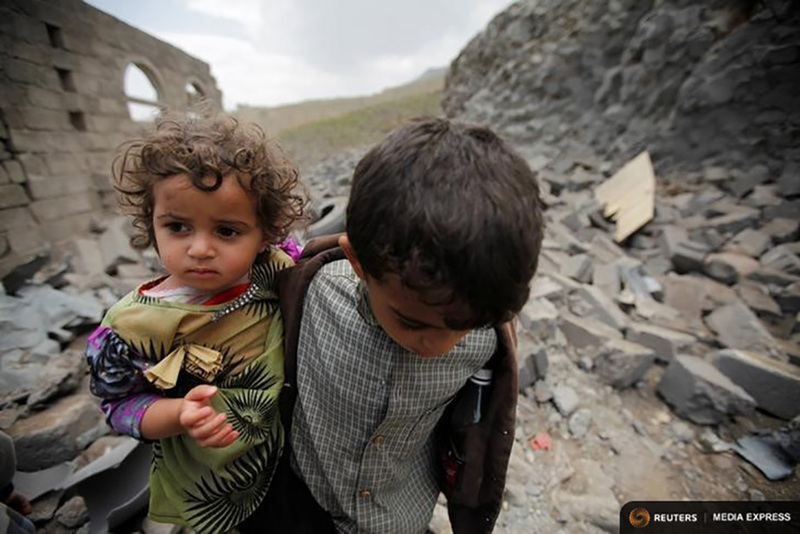 Yemenis and Palestinians are not lesser humans. Trump’s candid statement asserting that profits from weapon sales trump human rights principles underscores his administration’s partnership in crimes against humanity committed by leading clients of the U.S. military complex, like Israel and Saudi Arabia. It also illustrates the deep complicity of the military industry worldwide in instigating, fanning and justifying wars and armed conflict to maximize its profits. We appeal to progressives and social movements everywhere to pressure their governments to impose strict military embargoes on all states that are perpetrating crimes against humanity and war crimes, including Israel, Saudi Arabia, UAE and Myanmar. We also call for grassroots and civil society mobilizations against weapons manufacturers to hold them accountable for perpetuating wars and bypassing laws that restrict the arms trade. Leading U.S. weapons manufacturers and companies like Thales (France) and Rheinmetall (Germany) lobby their governments to ignore human rights and controls on the arms trade to maximize their profits from war crimes like those committed by Saudi Arabia against the Yemeni people and by Israel against the Palestinian people.